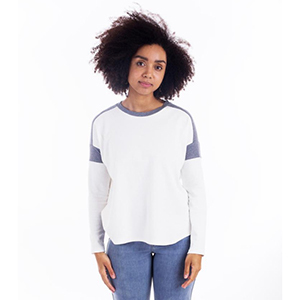 The Merlo Field Tee is a casual, comfortable and sporty knit tee. 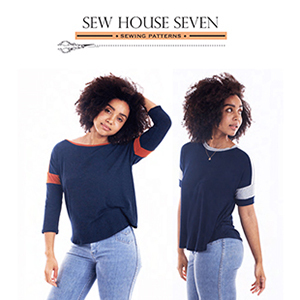 It has a slightly tomboyish vibe with its sporty stripes and curved hem, not to mention how perfectly it pairs with jeans. The contrast stripes are perfect for using up precious knit fabric left-overs. 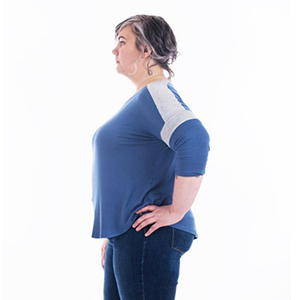 The pattern also offers two neckline choices and three sleeve length options. 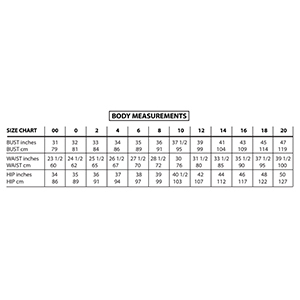 Suggested fabrics are cotton jersey, tencel spandex, cotton spandex, and DBP poly.